Ms. Martin, a mezzo-soprano who became a soprano, gained international recognition for her performances in Wagner and Strauss operas. She was an American opera singer who sang leading roles first as a mezzo-soprano and later as a soprano in opera houses throughout Europe and the United States. She was particularly known for her performances in the operas of Richard Wagner and sang at the Bayreuth Festival from 1968 to 1997. Pretty Yende, OIS (born 6 March 1985) is a South African soprano opera singer. Roberto Alagna (French pronunciation: ​[ʁɔ.bɛʁ.to a.la.ɲa]; Italian pronunciation: [roˈbɛrto aˈlaɲɲa]) (born 7 June 1963) is a French tenor. Sir John Rowland Tomlinson, CBE (born 22 September 1946) is an English bass. 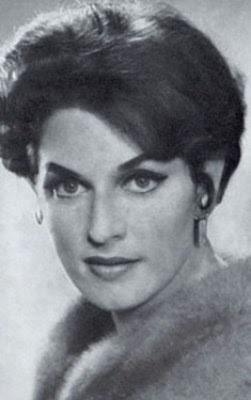 Edita Gruberová (born December 23, 1946), is a Slovak coloratura soprano. blog and music copyright protected. Simple theme. Powered by Blogger.